Dr. Craig Koenig, FAAAAI, was born and raised in Milwaukee, Wisconsin. He received a BS in Biological Science from Southern Methodist University in Dallas, Texas. He graduated from the Medical College of Wisconsin. He completed an Internship and Residency in Internal Medicine at Northwestern University in Evanston, Illinois. Prior to Fellowship, Dr. Koenig worked as a Hospitalist in Waukesha, Wisconsin. He served as a Fellow of Allergy and Immunology at Virginia Commonwealth University in Richmond, Virginia. 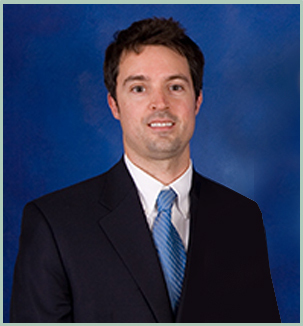 He is Board Certified in Internal Medicine and Allergy and Immunology. He is a member of several academic honorary societies, including Phi Beta Kappa and Alpha Omega Alpha. He presented abstracts at several recent American Academy of Allergy, Asthma and Immunology (AAAAI) meetings. Dr. Koenig is on staff at Sentara Norfolk General Hospital, Sentara Leigh Memorial Hospital, Bon Secours De Paul Hospital, Chesapeake General Hospital and and Children’s Hospital of the King’s Daughters. In 2010, Dr. Koenig was elected to Fellowship in the American Academy of Allergy, Asthma & Immunology. In 2012 and 2014, he was selected by his peers in a Hampton Roads Magazine survey (now called Coastal Virginia) as a “TOP DOC” in his field. Dr. Koenig enjoys literature and a variety of athletics.